Swiss surrealist artist H.R. Giger who designed the monster and revolutionary sci-fi sets for the film "Alien" has died, his museum said on Tuesday. He was 74. Giger, who was born Hans Rudolf in the eastern Swiss town of Chur in 1940, died on Monday in Zurich from injuries he obtained after suffering a fall, an employee of the H.R. Giger Museum said, confirming reports in Swiss media. Famous for creating the otherworldly creature in Ridley Scott's 1979 horror film "Alien", Giger was awarded an Oscar for Best Achievement in Visual Effects in 1980. The son of a chemist, he studied architecture and industrial design in Zurich, and first experimented with ink drawing and polyester works before moving onto large freehand airbrush works showcasing nightmarish dreamscapes. His work explored the relationship between the human body and the machine, and he created surrealist images of humans fused with industrial parts, a style he described as "biomechanical". "My paintings seem to make the strongest impression on people who are, well, who are crazy. A good many people think as I do. 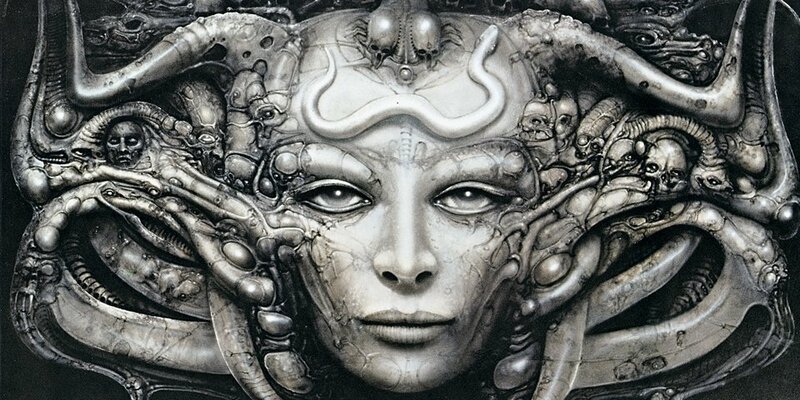 If they like my work they are creative... or they are crazy," Giger said in an 1979 interview with Starlog magazine. In 1975, Giger endured tragedy when his partner Swiss actress and Li Tobler, who served as a model in several of his works, committed suicide. He married Mia Bonzanigo in 1982 but the couple later divorced. The museum, which opened in 1998 also houses Giger's private art collection, including works by Salvador Dali.